Escherichia coli is a two-faced little slimeball. As is often the case with bacteria, it comes in many varieties. Some, such as the infamous O157:H7 serotype, can make people very ill. Once inside us (usually via contaminated food or water), they do harmful things like pump out toxins and feast upon the walls of our intestines. We're talking lots of bloody diarrhea. Yet other strains of E. coli have done us a lot of good. For decades now, research laboratories have been using strain K-12 and its many derivatives to manipulate DNA. For example, it was a key component of a kit I used throughout grad school to help fish out and sequence particular genes from communities of bacteria I was working with. It's also been engineered to produce useful proteins such as insulin on an industrial scale, which is otherwise pretty much impossible to do. Another good aligned E. coli strain by the name of Nissle 1917 (it also goes by EcN or O6:K5:H1) can actually improve the health of our guts instead of damaging them. In other words, it's a probiotic. In the early 20th century, a German doctor by the name of Alfred Nissle became interested in the idea of using harmless E. coli strains hanging out in our intestines as a sort of living drug to inhibit the growth of other bacteria (e.g. 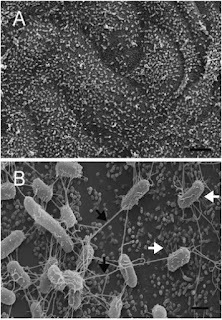 Salmonella) responsible for intestine-based diseases. In 1917, with World War I still raging throughout Europe, Nissle came across a young solider who had been fighting in the Balkan peninsula. This particular soldier was notable for not having fallen ill with bacterial dysentery, which otherwise spread like wildfire among the troops in the region of Dobrudja where he was stationed for a time. Nissle was all like, this dude must have some sort of awesome protective E. coli in his gut. Low and behold, he isolated EcN from the soldier's poop. After evaluating the strain in the lab and even swallowing a bit of it to ensure it wasn't harmful, Nissle introduced it as a medicine. Going by the name of Mutaflor, preparations of living EcN were initially used in Germany to treat infectious diarrhea in both people and livestock. Hitler is known to have received a dose or two. Its bacteria-inhibiting action was a boon in the era before the widespread availability of antibiotics. Subsequently, EcN was found to be helpful with gut problems not caused by bacteria, including long-term constipation and inflammatory bowel diseases (e.g. ulcerative colitis). It's also been used to stimulate the immune systems of babies born prematurely, which is super neat. 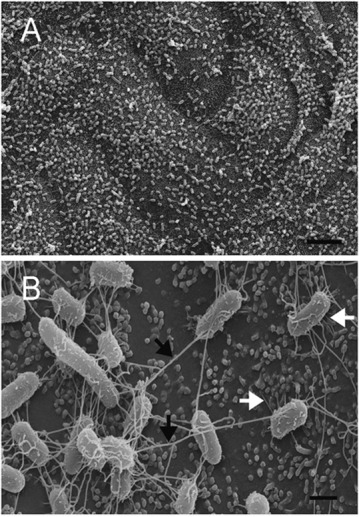 If you swallow a gelatin capsule stuffed with EcN (coated to ensure it isn't broken down by stomach acid), the bacterium is able to rapidly colonize your intestines without making you ill. As it does this, it crowds out disease-causing bacteria, messes with their ability to invade the walls of your intestine, and boosts your innate immune system (e.g. production of antimicrobial peptides) while damping down on inflammation.